When you take steps to prevent dental issues, you limit your risk of tooth decay, cavities, and gum disease. Brushing your teeth, flossing, and rinsing your mouth with mouthwash are all forms of preventive care that you take at home. 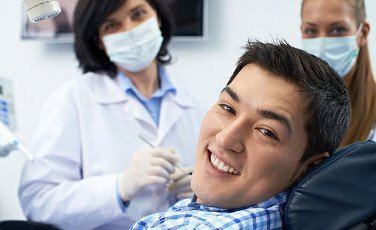 Along with these steps, there are certain areas where preventive dentist in Melbourne can provide further support. 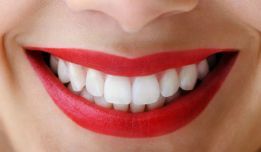 Dental implants, mouth reconstruction, and other restorative dentistry procedures can cost thousands of dollars. With the right care, you can avoid these costly procedures. Preventive dental care begins once the first tooth appears through the gums. This typically happens before a child turns one year old. Though, if your child still doesn’t have their first tooth by their first birthday, you should go ahead and schedule a dental appointment. You should brush after breakfast and after dinner. Though, if you have access to a toothbrush and toothpaste during lunch, you could a brush a third time. Flossing is also necessary. Brushing alone will not remove all the food debris that gets stuck between your teeth and gums. Floss at least once per day to help get rid of this extra debris. When you do not eliminate food debris and buildup with regular brushing and flossing, you can damage your teeth. Plaque forms on the exterior of your teeth. Food debris turns acidic and eats away at the enamel of your teeth. These issues lead to the decay of your teeth and may cause cavities. Mouthwash can also help eliminate bacteria. Rinsing with mouthwash can kill germs and provide additional protection against cavities and erosion. Fluoride is another aspect of good oral hygiene. The use of fluoride is credited with greatly reducing the occurrence of cavities and early tooth decay. 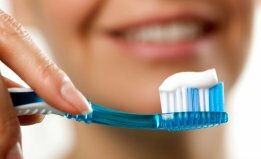 Most toothpaste now includes fluoride. Across the globe, public water is often fluoridated. Though, for younger children, fluoride is used in moderation. Your diet can also impact your oral health. Consuming sugary drinks can increase your risk of eroding the enamel of your teeth. Sipping on drinks through a straw can also damage the enamel of your teeth. Of course, certain drinks can also stain your teeth. This includes red wine, coffee, and tea. Routine dental check-ups are the next step in preventive care. Most people wait until they experience severe pain before going to the dentist. Instead, you should visit your dentist about twice per year. 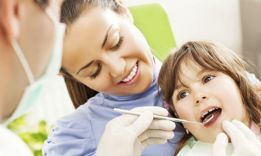 These routine dental exams will include a complete examination of your teeth, gums, jaws, and bite position. If any issues are detected, you can take corrective actions. During your examination, x-rays will be used to get a more detailed look at the condition of your teeth. These x-rays provide a detailed view of the cavities and the presence of any other dental problems. Sealants are also sometimes applied during routine examinations. This is more common with children, as the sealants help protect against cavities. The sealant is a temporary layer of protection that is applied by your dentist. It may need retouching during subsequent visits, but it will typically last about two or three years before it needs to be completely reapplied. In many cases, your routine examination will include teeth cleaning. Your dentist will use equipment and dental tools to remove plaque and tartar from your teeth. Brushing and flossing can eliminate most debris, but a thorough cleaning is still needed about twice per year. Mouth guards are another form of preventive dentistry. Whenever you engage in activity that could result in injury, you should have a mouth guard. This includes contact sports. A mouth guard should be properly fitted. This requires a visit to your dental offices. A properly fitted mouth guard will match your exact bite. This helps the mouth guard provide superior protection than a generic, store-bought mouth guard. When worn, the mouth guard could protect against broken or chipped teeth. At the same time, it can protect against injuries to other areas of your mouth. People that regularly grind their teeth can also benefit from the use of a mouth guard. The mouthguard is worn at night, to protect against the damage that grinding can cause. When the teeth grow crooked or at an angle, an individual can suffer from a bad bite. A bad bite can lead to pain and severe dental problems. Luckily, this is easily avoided with the help of orthodontics, such as braces, retainers, and clear Invisalign aligners. 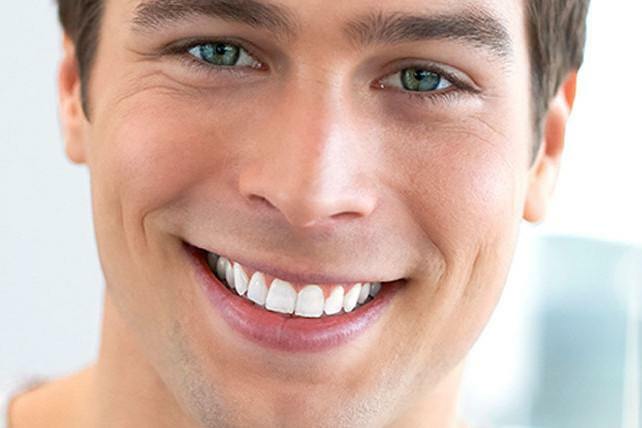 Invisalign aligners are nearly invisible braces. They are less noticeable than traditional metal brackets and wires. Consuming alcohol, smoking cigarettes, and chewing tobacco can impact your dental hygiene. Cigarettes and chewing tobacco can stain your teeth and increase your risk of developing gum disease. Alcohol, particularly red wine, can stain your teeth. These habits can also lead to another issue. Along with increasing your risk of gum disease. You could also end up with tooth discoloration, tooth decay, and buildup, you could increase your chances of developing oral cancer. Oral cancer is most commonly the result of smoking or using chewing tobacco. Though, recent research has shown that the HPV-16 virus can also lead to oral cancer. The HPV virus is an STD (sexually transmitted disease). Of course, these could be symptoms of other dental issues. That is why it is important to get checked by your dentist. If oral cancer is detected early, the chances of successfully fighting the illness increase. Proper dental care requires you to take a proactive approach. You need to use preventive measures to avoid common dental issues. This includes gum disease, tooth decay, and cavities. There are two main aspects of preventive dental care. You need to remember to use proper oral hygiene techniques at home. You also need to visit your dentist twice per year. Though, the number of visits could depend on your specific health conditions. For example, if you suffer from gum disease or advanced tooth decay, your dentist may require more frequent checkups to monitor the advancement of your illnesses. The best way to protect your teeth is to take care of them at home and with regular dental exams. At home, you should brush, floss, and use mouthwash. At your dental exams, your dentist will likely take x-rays of your mouth and perform teeth cleaning. If you haven’t been to the dentist recently, you should schedule an appointment today. Don’t wait until you experience pain before visiting a dentist for a routine dental examination. Call us today on (03) 9088 0257 to schedule a dental checkup.